Honda Brio Diesel Will Launch Before Diwali 2012? Fact or Rumor? 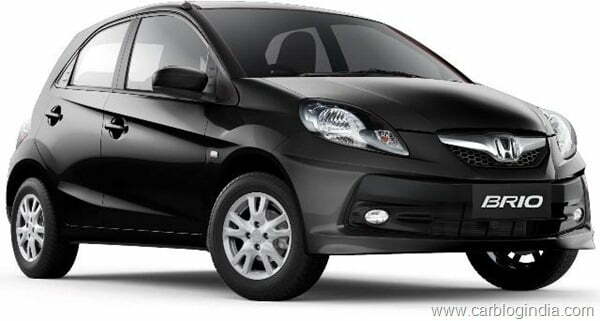 Honda Brio Diesel Launch Before November 2012– Fact Or Rumor? Car Industry in India is going though a difficult phase with the prices of petrol hiked by Rs. 7.50 per litre overnight on 24th May 2012. This has deepened the price difference between diesel and petrol much further, so much so that the running cost of a petrol car is nearly twice of that of a diesel car. This constantly rising petrol price in India is causing a lot of shift in the demand ratio of diesel to petrol cars. More and more buyers are opting for diesel cars which have a long waiting periods for most of the popular diesel cars while the petrol cars are being offered with special discounts. Many car makers are suffering from this shift in demand and working hard to cope up with this change by increasing the diesel cars production capacity. Honda SIEL India is one of the most impacted players by this shift as there is no diesel car in Honda Cars India portfolio which is causing loss of customers to competing brands who are offering low-running-cost diesel engine cars. Honda is well aware of this problem and is working on small diesel engines (under 1.5 litre displacement) for past sometime, these engines will ne Honda’s Earth Dream technology engines. As per the initial plans of Honda Cars India, the diesel engine cars of Honda in India were to be launched by 2013-14, but the recent developments seem to have pushed Honda to move faster with its diesel cars for India. These reports suggest that Brio Diesel maybe actually launched by November 2012 which is also supported by some other reports and spy pictures of a brown coloured on-test Honda Brio shared by some websites. We are not very sure about the launch timeline as there has been no official word on it, but we will keep an eye on the same and keep you updates on the same as soon as something official is announced, so stay tuned to us for the latest updates.